Now in its ninth year, Aspire! 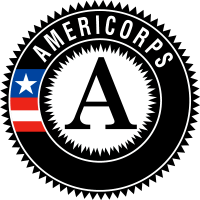 's innovative Learning Links AmeriCorps Program is designed to support all goals and objectives of our signature Learning ROCKS! afterschool and summer program while going one step further - providing continuity of services across the three main aspects of a child's daily experience: at school, after school, and at home. 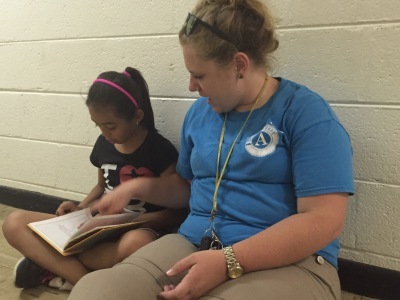 AmeriCorps Members each dedicate one year / 1,700 hours of community service to supporting south Arlington’s students. 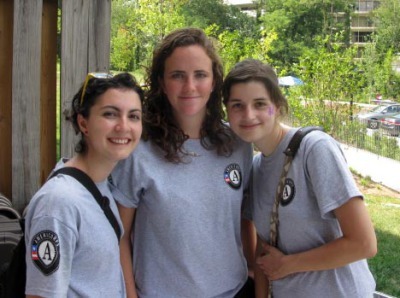 Since 2009, our AmeriCorps Members have contributed over 100,000 hours of service to Arlington's at-risk children and families. Partnerships with schools are an important part of our success with students. Each of our AmeriCorps Members are placed in partner schools where they provide direct service to kids in their classrooms, in their schools. 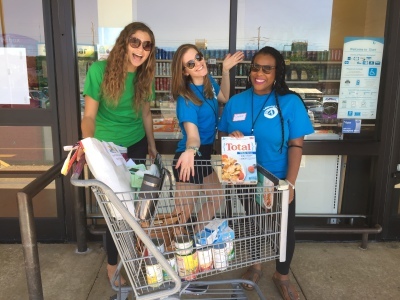 Our unique partnership with Arlington Public Schools allows Corps Members to participate in new teacher orientation at the start of the school year, as well as participate in a variety of in-service and other professional development activities. AmeriCorps Members are a vital part of our team, planning and implementing activities for the Learning ROCKS! afterschool and summer program, including providing homework help and designing new lessons. 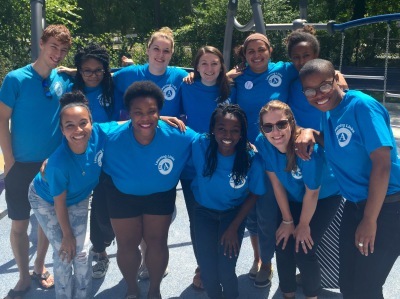 Together with our staff, Corps Members help make up our Community of Practice by which we all work hard at becoming better practitioners, sharing ideas, resources, and addressing challenges together. AmeriCorps Members plan and provide child enrichment activities during Parent Connection workshops, getting to know our students' siblings and other family members. Through innovative partnerships with local affordable housing groups, our Corps Members have the option of living onsite within an affordable housing development, becoming an integral part of the community they serve. “Living in Columbia Grove, and serving at Campbell Elementary and Aspire!, I really feel like part of the Arlington and Aspire! communities. We have an awesome, supportive staff and AmeriCorps team who are passionate about making an impact and working with children. While there are definitely stressful, crazy moments, there are lots of silly, happy, fun, rewarding moments too! I hope to work with kids in the future and my experiences at Aspire! have given me a great introduction." Now recruiting for school year 2017-18 and summer. “Aspire! has taught me so much about volunteering with youth in a non-profit atmosphere. The kids here are so wonderful and I really enjoy being able to help and support them every day in the Learning ROCKS! program and at Claremont Elementary School. I’ve learned more about myself in these 12 months here at Aspire! than I ever thought I would. These skills that I’m developing will definitely help me with whatever career path I choose to travel down after this experience." 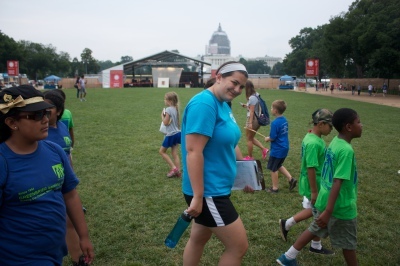 “I never thought I would be so at ease working with elementary school children. My time with Aspire! has not only made me extremely comfortable in an educational environment working with kids, it has shown me that whatever I endeavor in my future, I want to be around kids. The children I interact with every day when I am in Barcroft Elementary School or Aspire!’s after school program are always surprising me with their capacity to learn new things. Not only do I get to watch them learn, but they are constantly teaching me new things. Especially new ways to do long division!" 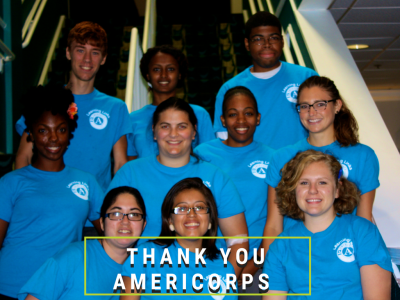 - AmeriCorps engages 80,000+ Americans in intensive service each year. - In Virginia, more than 16,000 have served over 26 million hours and qualified for education awards totaling more than $55 million. Find out more about Virginia Service and the Corporation for National and Community Service.